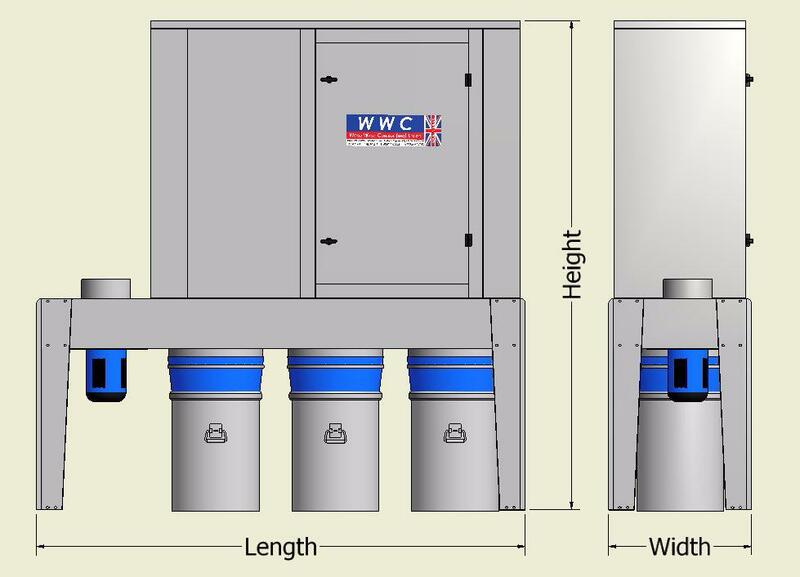 Wood Waste Control's most popular extraction unit designed to extract fine dust, fumes and other types of waste. Can be deployed at the source of the contamination or as a central system serving more than one machine. Two motor options are available 4kW or 5.5kW 3 phase powering a 6mm mild steel paddle blade impeller. The FD 3 can be tailored to suit individual requirements, such has an internal or external roof, collection bins or collection bags, silencing kit and optional A.T.E.X explosion relief panel. This extractor is suitable for Sanders, spindles, routers, small CNC wood working machines and our models T and TH use tubular filter bags that can also handle shavings, chips and other such waste.